I saw this great tutorial over on Splicoast Stampers and had a go. Easy to make but really effective and striking. I love how it is really solid in the way it stands up. 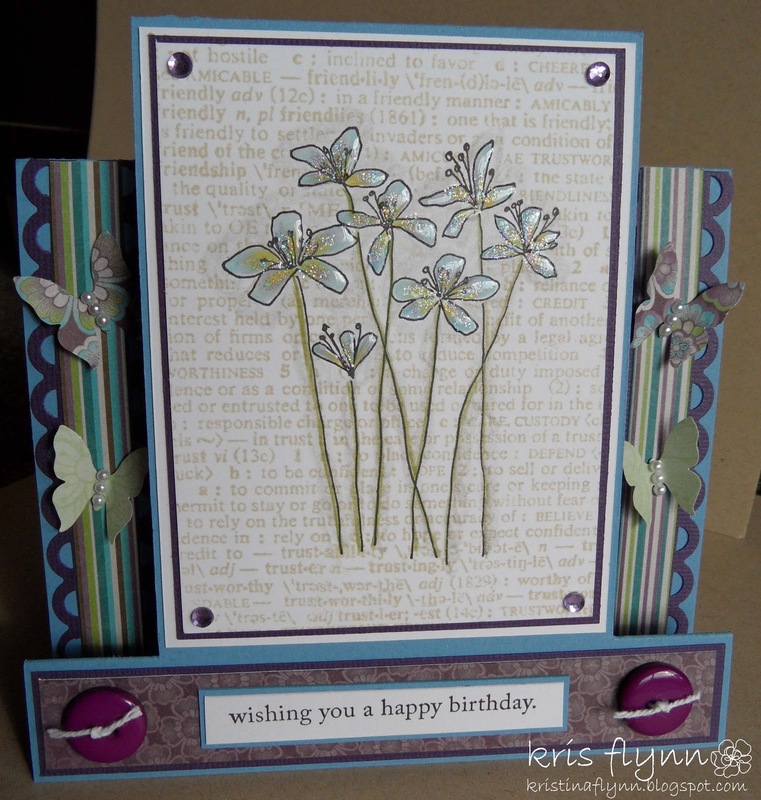 I used the "Friends" background stamp from Hero Arts, and the flower stamp is from Penny Black - 3818J - Wind Caressed. I coloured with pencils then used glossy accents on the petals of the flowers. Paper is from Kaisercraft.